If you’re driving a Jeep Wrangler or a Ram 1500, you know there’s one reliable place to turn for an oil change near you: our Jeep service center near Bangor, ME! 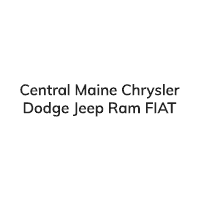 Central Maine Chrysler Dodge Jeep Ram FIAT is proud to offer quality oil changes near Bangor, ME. Our Chrysler service center is home to some of Maine’s most knowledgeable Chrysler technicians, and they can service your vehicle quickly and accurately. No matter what type of vehicle you’re driving, be it a Jeep, Ram, Chrysler, Dodge or FIAT, we’ll have the right kind of synthetic oil and conventional oil on-hand. This makes it easy to get you in and out in a jiffy, which means you can get back to exploring Maine’s roads in no time at all. How Often Does a Ram Need an Oil Change? If you’re wondering when your Ram, Chrysler, Jeep, Dodge or FIAT needs an oil change, the best place to check is the owner’s manual that came with your vehicle. Your owner’s manual will always tell you specifically when your Ram 1500 needs an oil change, or when to schedule a Jeep oil change. However, a good rule of thumb is that the best time to get an oil change is every 5,000 miles or so. This way you can ensure all the working parts of your car’s engine are properly lubricated so your vehicle always performs at its best. If you’re still wondering when to get your oil changed, just take a look under the hood. If the oil is dark in color or the level of oil is low, you should swing by our Ram service center right away. Oil changes can vary in price at our Dodge service center, but know that you can score special savings often! Before you schedule your Chrysler or Dodge oil change, be sure to check and see if we have any current oil change coupons or oil change offers at Central Maine. Our goal is to make maintaining your vehicle affordable, so we like to help out with our service specials. It’s easy to afford quality care when you choose Central Maine Chrysler Dodge Jeep Ram FIAT! Schedule your oil change appointment at our Jeep dealership near Bangor, ME, today, and we’ll have you in and out in a jiffy!